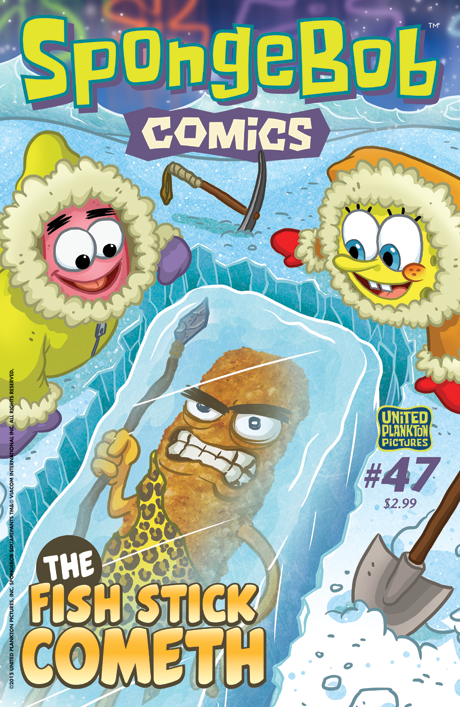 A frozen fish stick has fallen into Bikini Bottom--and the savage cave-creature that emerges from the melted ice is wreaking prehistoric havok. Can SpongeBob tame this invader from above? Find out in "No More Mister Ice Guy!" Then Squidward figures out that "One Little Lie" can keep SpongeBob away--but there are consequences. Consequences that include a conga line! All this plus stories by Sam Henderson, Dean Haspiel, Jacob Chabot, and a cut-paper comic by Maëlle Doliveux!